and took two guns, marijuana and crack cocaine off the street Thursday as part of a citywide sweep targeting narcotics use and other illegal activity. As part of the sweep, police executed a search warrant at 15 Warren St. Apt. 3 as part of an investigation into a marijuana distribution service being operated out of that address. During their search of the residence, police seized a .25 caliber handgun, 40 grams of marijuana, digital scales, packaging materials and $1,285 in cash. Francisco Gonzalez, 54, of 15 Warren St. Apt. 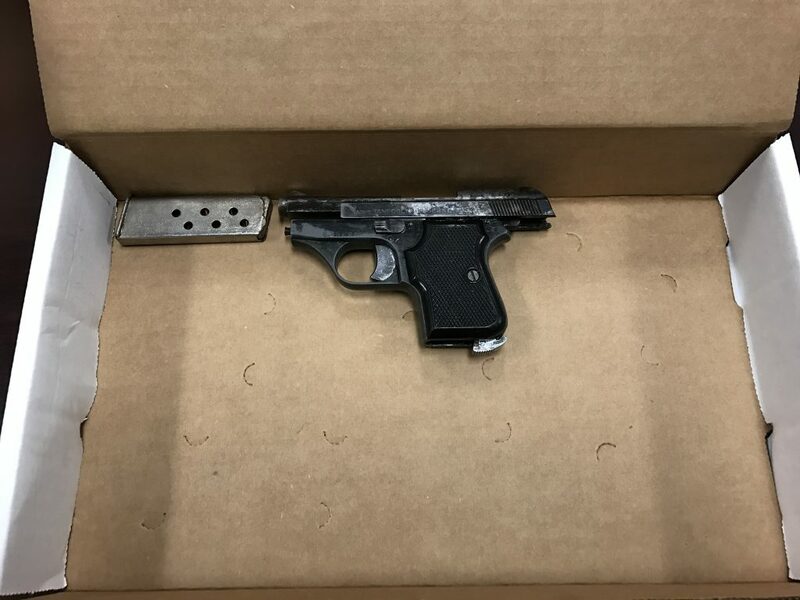 3, New Bedford, was charged with possession of marijuana with intent to distribute, possession of a firearm without a license, improper storage of a firearm and possession of marijuana with intent to distribute, subsequent offense. He was convicted Dec. 21, 2007 for possession of class A substance with intent to distribute. A motor vehicle stop in the area of Cottage and Union streets led to the arrest of Devin D. Nickerson, 21, of 59 Everett St., Middleboro, on charges of possession of crack cocaine with intent to distribute and operating a motor vehicle with a suspended license. Police found crack cocaine in the vehicle along with $690 in cash. 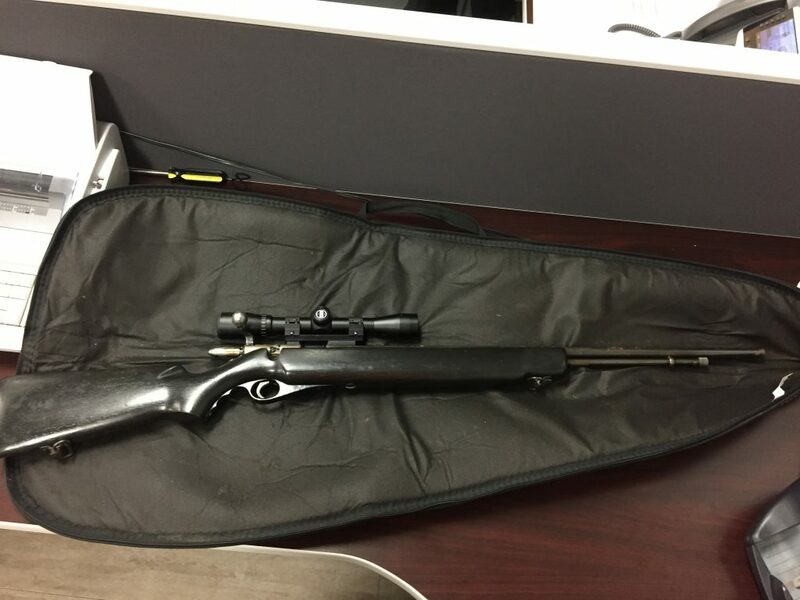 The arrest was made at 3:50 p.m.
Based on a tip, the narcotics unit also recovered a stolen .22 caliber rifle from the basement of 358 N. Front Street. The gun was recovered at 4:52 p.m.
Fidel Fuentes, 57, 88 Clifford St. Apt. 1N, New Bedford, was also arrested for operating a motor vehicle with a suspended license. He was stopped on Ashley Boulevard. Steven E. Pepin, 62, 500 Hathaway Rd. Apt. 209, New Bedford. He was located at Ashley Boulevard and Sawyer Street. Paula Little, 40, 22.5 Old Colony Ave., Taunton. She was located at Tallman Street and Acushnet Avenue. Jason FInnerty, 32, 219 Ashley Blvd. Apt. 2, New Bedford. He was located on Coffin Avenue. Brian Chandanais, 29, 7 Beetle St. Apt. 1, New Bedford. He was located on Acushnet Avenue. Tara L. Lucas, 31, of 109 Tallman St. Apt. 2, New Bedford. She was located on Acushnet Avenue and Nye Street. Victor M. Silva, 42, 25 McGurk St. Apt. 2W, New Bedford. He was located on Cove Street. Thomas John Branquinho, 48, 129 Division St., New Bedford. He was located on Winsor and County Street. Deborah J. Baliko, 51, 213 Rockland St. Apt. 3, New Bedford. She was located on Hemlock and Sidney Street. Guy L. Pettie, 54, 37 McGurk St. Apt. 2, New Bedford. He was located at Brock Avenue and George Street. Diego A. Perez-Martinez, 283 Sawyer St. Apt. 3rd, New Bedford. He was located on Sawyer Street. Detectives continue to focus their efforts on fighting criminal activity in the areas of Roosevelt Street, County Street and North Front Street. 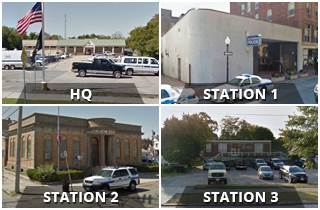 The New Bedford Police Department thanks the public for information that has helped in this effort and encourages residents to contact police with information that can help in police investigations. Anyone with information is asked to call the police department at 508-991-6350 or the anonymous tip line at 508-992-7463 or e-mail tip@newbedfordpd.com.